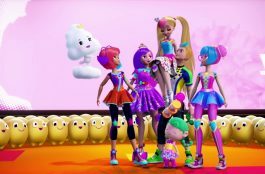 Barbie and her friends do not stop giving us fun through the best movies, and in this 2017, Barbie and the magical dolphins have made their presence; Obviously in an underwater adventure. On several occasions we have seen Barbie in adventures within the underwater world, and this occasion is no exception. Barbie has a surprise for you. 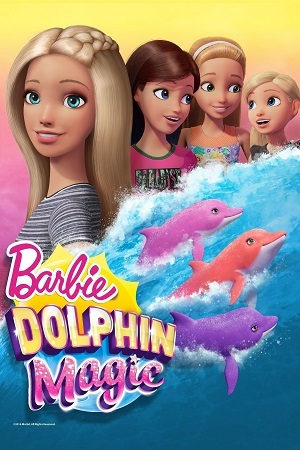 Barbie and the magical dolphins shows us an incredible episode where, after the visit that the sisters make to Ken, their summer changes radically: During the summer practices in which Ken participates, his activities consist of working inside a reef of coral that is in charge of 2 people who hide a secret full of greed. When Barbie comes to where Ken works, he shows him each of the activities he must do during the coral reef exploration. Fascinated by the beauty of the place, Barbie, discover on her way to a Gem dolphin that is sad and isolated inside the place, what secrets does this strange animal hide? We will discover it in this movie! In one of the tours, Barbie and Ken realize that the Gema dolphin that is isolated, is not sick as they have been led to believe, he is isolated by another macabre reason. Barbie is dedicated to observe this species of dolphins: which are called Gema dolphins; they are characterized by having colors like the rainbow, and because they arrive at the place only once a year, they are so beautiful and mysterious at the same time! Passionate about the subject, and delving into the dolphin watching, Barbie discovers that a new friend is also very interested in the Gema dolphins: it is about Isla, a girl who seems to have a very special connection with the beings of the sea. Her way of being: so mysterious and enigmatic, it provokes the intrigue of Barbie, who decides to investigate what is behind Isla, so she discovers that she is a deep sea ship that aims to save the coral from a threatening danger. 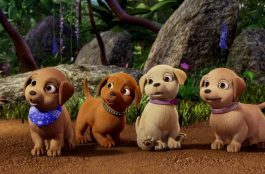 Barbie and Ken decide to help her because there are many beings who are in danger in this adventure and the results can be catastrophic; However, what seems like a simple task is complicated when you discover that Ken’s bosses are determined not to let anything destroy their evil plans. 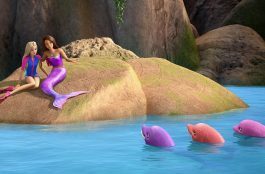 At that moment, Isla decides to reveal to Barbie, Ken and the sisters of Ken that her mission was granted because she is a beautiful mermaid who urgently needs help from Barbie and her sisters; and also Ken. In this fight that seems like a race against time, the magic dolphins will do their job to save the reef, the sea, the sirens and of course all the nature that is in danger of being destroyed. 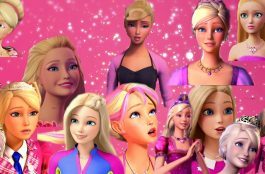 Do not miss this spectacular movie that will make you rediscover the love for marine fantasies and especially for Barbie and her friends. We wait for you in this movie where you will surely have fun, remember that it is completely free and that you can help us sharing with your friends.